2. In small heavy saucepan simmer maple syrup, ginger root, 4 tbsp. lemon juice, soy sauce, garlic, and pepper until reduced to 1 cup. 9. 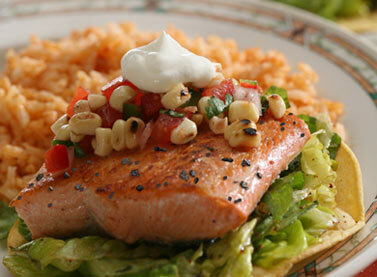 Cut salmon into serving size pieces, arrange on serving plates and drizzle with sauce.